Police believe that human remains discovered at Kangaroo Point on September 5 belong to missing woman Constance Watcho. Whilst forensic examinations are ongoing, the investigation by Dutton Park Criminal Investigation Branch and the Homicide Investigation Unit has uncovered evidence that have led detectives to this conclusion. 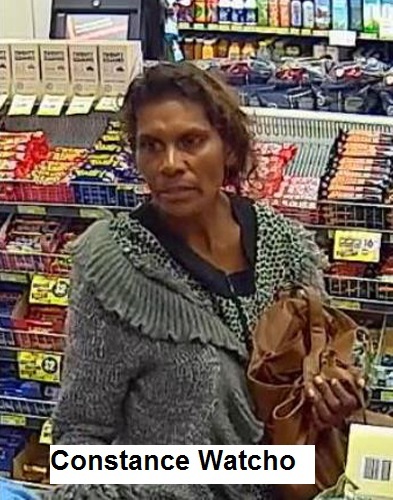 Ms Watcho was last seen in Greenslopes on November 27. Today police executed a search warrant at an address in River Terrace. Ms Watcho was known to have been residing at the address for a number of days. The area is a popular spot for drone flying, so police are asking anyone who may have footage of the Kangaroo Point cliffs from over the last year to review their footage and supply it to police if it shows anything that may assist with the investigation.